Neuschwanstein is inherently more popular than Herrenchiemsee Palace, Neuschwanstein is a similar figure to Walt Disney’s castle. Easy access to public transport and a palace in popular tourism play a large part in keeping King Ludwigs Castle Neuschwanstein the most popular creation. 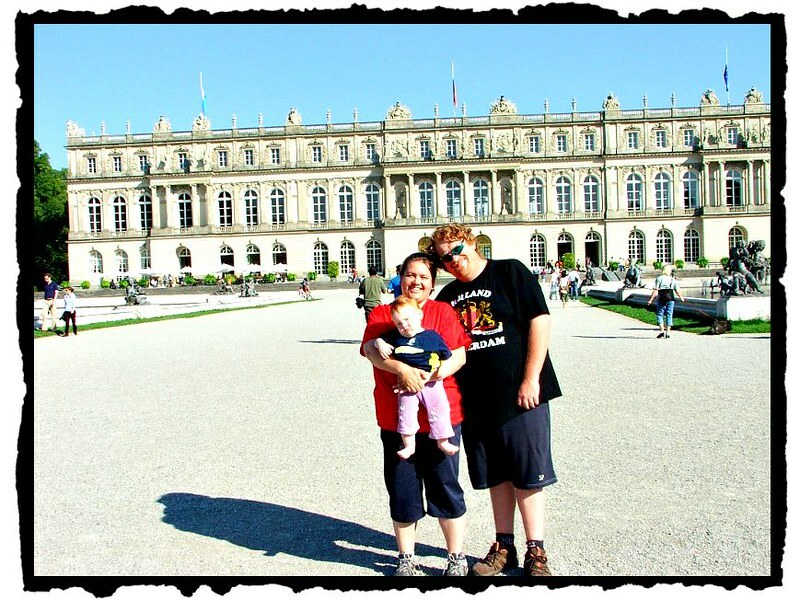 Herrenchimsee Palace nonetheless is a great way to spend a day trip from Munich. In 1873 King Ludwig II of Bavaria bought The Herreninsel Island in Chiemsee Germany as the location to build his Royal Palace of Herrenchiemsee. 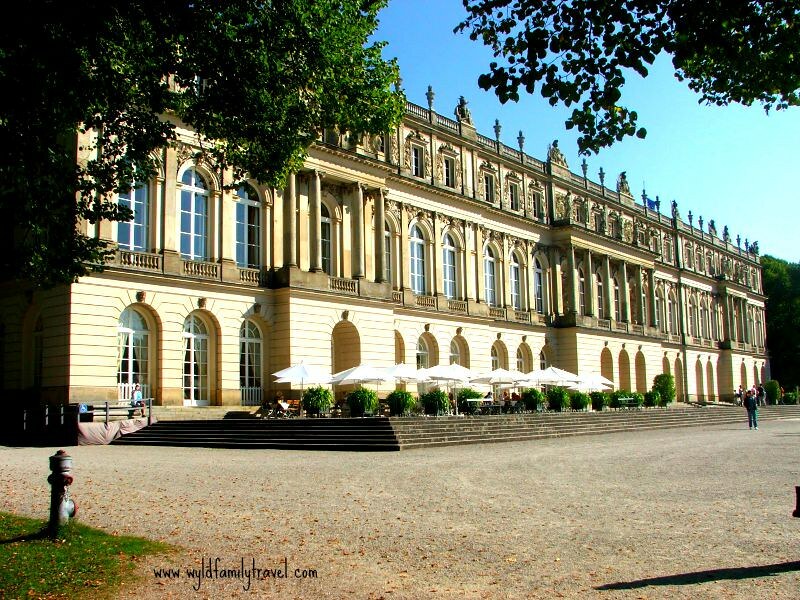 Herreninsel Island lies 60km from Munich at the feet of the Bavarian Alps. Far enough away but close enough so Ludwig could commute to the sights of Munich as required. Once in Munich Ludwig had the Royal Palace of Schloss Nymphenburg to reside in. Construction started straight away on Chiemsee Castle. If this amazing palace on The Herreninsel Island was built as of 2013 it would have cost in excess of 250 million dollars. Called the Bavarian Versailles Herrenchimsee Palace is modelled on The Palace of Versailles in France. 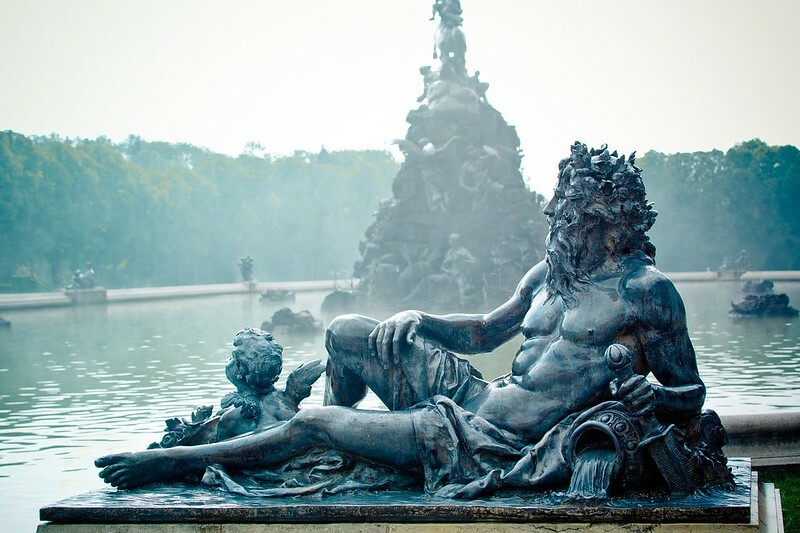 Ludwig built Herrenchiemsee new palace in honour of King Louis XIV of France. For Ludwig imitation was the kindest form of flattery. Construction of Herrenchinsee Castle began in 1878 and continued to Ludwig’s death in 1886. One of the great shame’s of Ludwig’s death was that it left both Herrenchinsee and Neuschwanstein were unfinished. The palace was still far from complete at this stage and sections were actually destroyed. The greatness of Ludwig ii castles and his vision were never fully realised for us to see and experience. If finished Herrenchinsee would have been a masterpiece and rightly taken its spot as King Ludwigs finest royal residence. King Ludwig’s castles in Bavaria left many great locations for us travellers to see today. The highlights of the interior include the large State Rooms, the State Staircase, the State Bedroom and the Great Hall of Mirrors. The Hall of Mirrors was amazing and worth a visit to Herrenchiemsee just to view this room alone. If you been to Versailles and viewed their Hall of Mirrors the version at Herrenchinsee Palace will be instantly familiar to you. 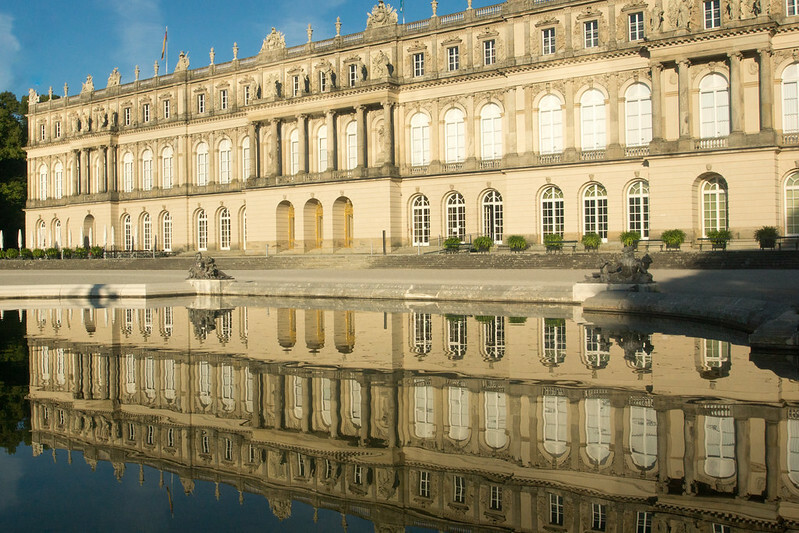 The Hall of Mirrors and the facade of Herrenchinsee Palace is where this palace is most like Versailles. The King’s own rooms were in the intimate Small Apartment. Herrenchiemsee was designed in the French rococo style built in the classic shape of a palace with a long, front facade. 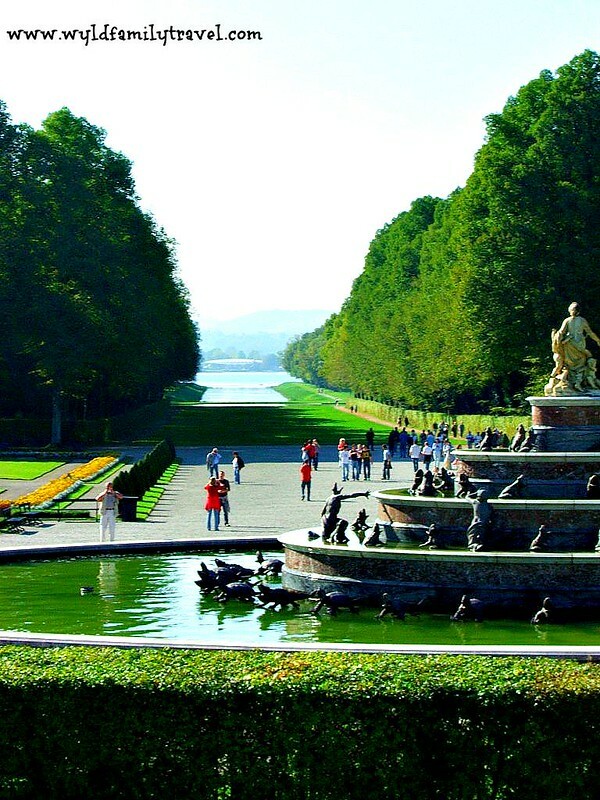 Herrenchiemsee day trips from Munich is a must! On either side of the corridor are rectangular water features with an amazing fountain in the centre. One could sit look and stroll this amazing area of the palace grounds for hours. There is a cafe on site where you can enjoy a beverage and just take in your surrounds. Being in Bavaria I thought a traditional Bavarian weissbier was in order. I sat in the warm summer sun in an amazing place with my family and fully enjoyed a great beer. Herrenchiemsee Palace main downfall is that Ludwig died before construction was complete leaving 50 of 70 rooms unfinished. Herrenchiemsee, do yourself a favour and make the effort to see Herrenchiemsee Palace it’s the equal of Neuschwanstein and one of the best German castles. You will find and the crowds are much smaller and there is no line to wait in when visiting this Germany castle. 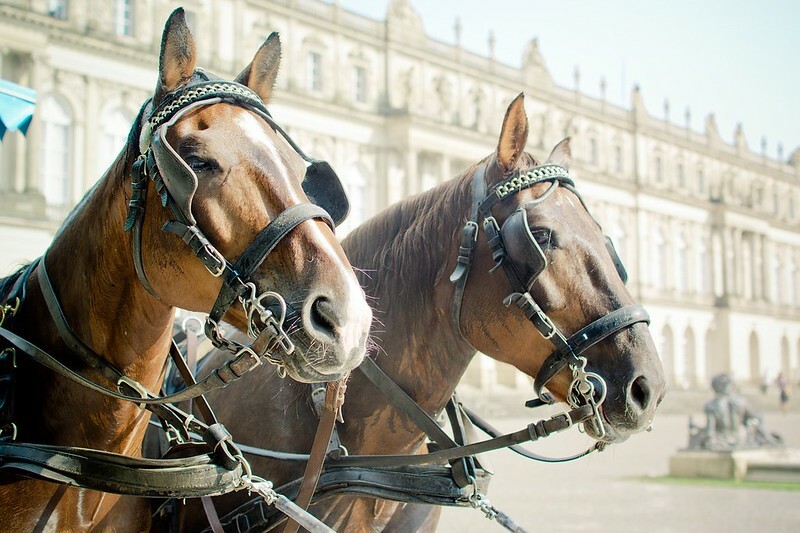 Day trips from Munich on your Bavaria holidays to Herrenchiemsee Palace take the train to Prien am Chiemsee (around an hour’s ride from Munich). From Prien station, there is a special Chiemsee train to the Prien/Stock boat pier which runs during the summer season. The pier is otherwise about a 30-minute walk from the station. The boat ride over to the fairytale castle is amazing. Cruising across the clear blue water of this Bavarian lake is a great experience. The Bavarian Alps of Germany in the background rise up to greet the horizon with snow covered peaks. Getting to Munich for your Herrencheimsee visit. Wow! It certainly looks amazing! I have visited Versailles, which was amazing although very, very crowded. It would be lovely to visit a palace that was much quieter and I love that it’s on an island. It looks like a beautiful location! Thanks for commenting once again. We have also visited Versailles its amazing but yes very crowded. This palace is amazing in an amzing setting with the Alps in the background. I am still wanting to know what a conker is ? What an incredible palace! I love the view from the gardens and the Hall of Mirrors looks spectacular! I’d really love to go here! I love Ludwig’s castle. He has a fabulous mind and his mysterious life just adds to the mystic of his castles. I need to visit the rest of his castle next time I am in Germany. Wow! What an impressive looking building – I bet you couldn’t stop taking photos! The Mad King did well! Love those fountains and gardens. Spending a sunny day strolling the grounds would be wonderful. This palace is beautiful! 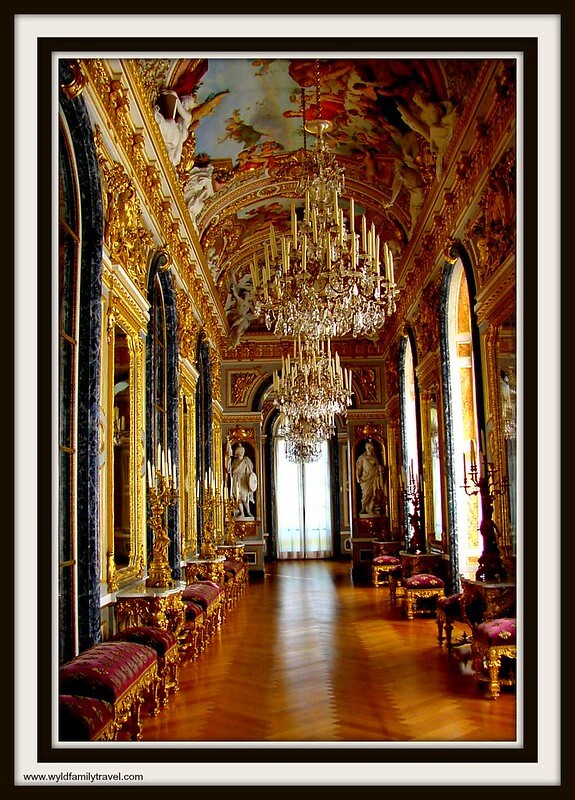 It reminds me of the Palace of Versailles with the gardens and the room that resembles the hall of mirrors! We will put this on our must see list! Thanks! Thats why its called the Bavarian Versailles! What a beautiful place to visit! Your pictures are stunning and really evoke the spirit of the place. Thank you! Wow, so beautiful and Grand! I would love to take the horse and cart ride from the pier through the forest…one day! Thanks for sharing. Wow, it certainly is a masterpiece! It looks like France a little bit more than Germany 🙂 I hope you all had a great time! The Palace is indeed a masterpiece, so spectacular. The hall with the mirrors is so exquisite and magnificent. wow, wow, wow, it looks amazing!! haven’t been there yet, but it’s definitely on my list!! the photos are wonderful! !